The E-Z batter's box chalker can mark a regulation batter's box in less than 60 seconds! 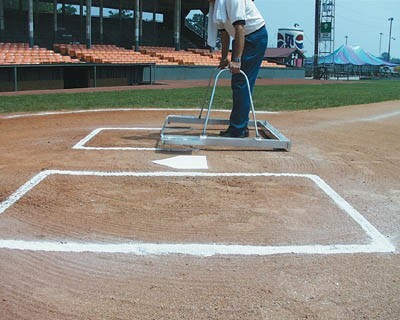 Simply fill the trough with chalk, line up the guide with the home plate and bump the ground. 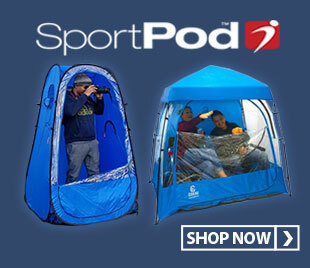 Turn around to line the other half and you’re done! This box chalker dispenses a 2" wide white line and all boxes on an 8-diamond complex can be chalked in less than 20 minutes! 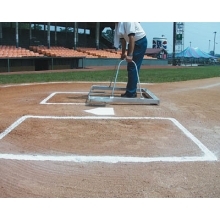 The E-Z batter's box chalker is made from durable, lightweight aluminum and is easy to transport.